Su-Kam a leading inverter company in India, is set to change the solar inverter market with the introduction of intelligent and technologically advanced products in India. Amidst high competition from Asian and other neighboring countries, it has been difficult for Indian manufacturers to carve out a respectable market share in the country. We at Greenworldinvestor have always said that the Indian manufacturers have to use innovation and spend huge sums on R&D in order to stand out in the market. Su-Kam is a leading name in the Indian power storage industry. The company offers a wide variety of solar products ranging from 30W to 300MW. The company has been credited with the introduction of world’s first Hybrid UPS, India’s first Sine Wave inverter, world’s first plastic body inverter and many more. 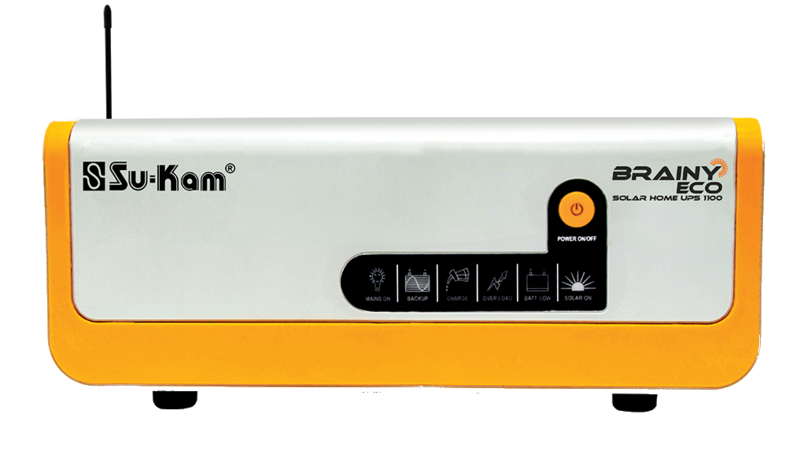 Su-Kam supplies both off-grid and on- grid solar inverters in India. It also has an intelligent solar hybrid inverter which can work as both off-grid and on-grid inverter. The company uses the Internet of Things (IoT) in its inverter solutions, which enables customers to monitor their inverters from anywhere. Sukam’s Solarcon is a smart device that can convert any ordinary inverter into the solar power system. Its brainy uses intelligent technology and combines features of On-line UPS, Solar Power Conditioning Unit, and Inverter into itself. Su-Kam’s Solar Power Conditioning Unit (PCU) is an integrated unit which consists of a solar charge controller, inverter, and a grid charger, and provides continuous monitoring. Given, its wide range of residential rooftop solar inverters, Su-Kam is the market leader with dominant revenue share in the Indian residential solar inverter market. Su-Kam’s impressive portfolio of patents and trademarks will definitely help it gain an edge over the competition, as the storage industry expands in India. The company is also foraying into EVs aggressively. The company’s focus on introducing efficient, customer friendly and economical products is its key competitive strength. This is the one merit we are looking for in our Indian manufacturers to stay relevant in the global race. Su-Kam has a global presence in more than 90 countries including Asia, the Middle East, and Africa. However, India imports the majority of inverters it uses. ABB, Huawei, Sungrow, and TMEIC are the largest inverter companies supplying in India currently, commanding double-digit market share.